After graduating with us in 2016, Mike Stewart has gone onto achieve great things with his fitness career. 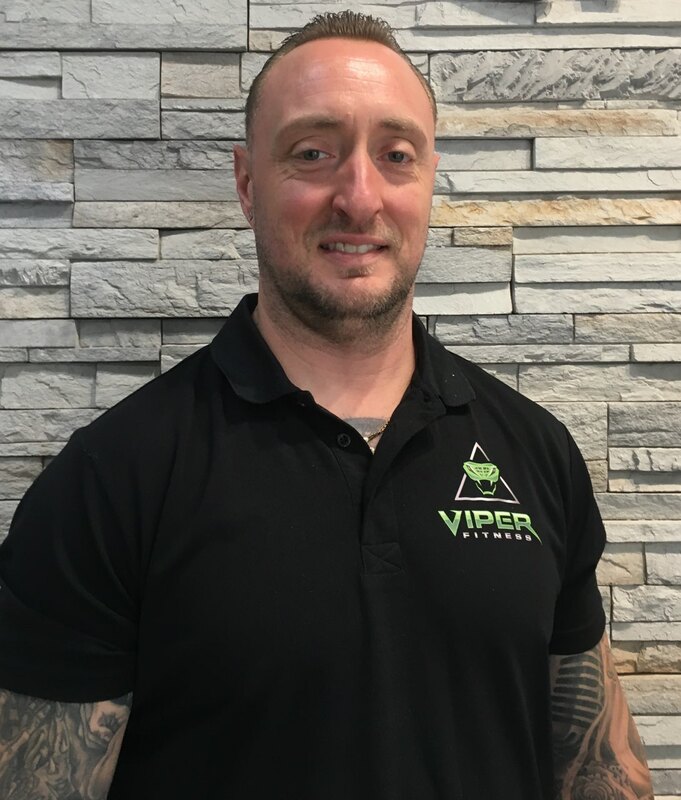 He’s certainly not showing any signs of slowing down, with a launch of his online business & app coming soon and his face-to-face training at 50 sessions a week, Mike has learnt a great deal about what it takes to succeed. In celebration of our 10th birthday, we got to learn more about Mike’s journey, and what he has planned for his future. Check out our interview below. What led you to decide to study the Certificate III & IV in Fitness? I was always into fitness and resistance training, however, I was also very tired of working the same old boring office job that I had been in for 13 years. I felt like I wasn’t being true to myself and I felt like I was just following the pack of the normal thing to do i.e. get a job, get a house, start a family etc. I started to question myself, as I always had a burning desire to step out of the ordinary and do what I want to do, making the most out of life and I just felt sick every time I thought about spending the next 30 years in that corporate environment, busting my backside making other people wealthy. I began to think about what I was truly passionate about and how I could create a career that I could not only really enjoy, but one that I could live by and grow and evolve into bigger and better things. I then decided I wanted to get into the online coaching business, where I can do what I love and am passionate about from the comfort of my own home and build a brand for myself. Once I had the goal and the direction of my chosen field I knew that in order to progress as a professional in the field, I had to obviously obtain my full accreditation in personal training in order to gain credibility, which initially only began with the hopes to solely take my business online but then I realized although I have so much experience and knowledge, I don’t know everything and I wanted to learn more from other fitness professionals, therefore, the only way to do that was to step out into the face-to-face trainer world, invest in my own coach and create a hybrid business of both face-to-face and online clientele. Honestly, I found it very rewarding and informative, yet challenging at times. I am a high school dropout who hated studying so I had my moments but what made it great was learning so much about anatomy and functionality which, for me, I believe was the biggest take out. I felt like I had mastered the training side of things but it was those technicalities that I was lacking. I also have to call out the outstanding support I always had from the crew at Onfit. People like Dan, I could always call for assistance and they would provide it in a way similar to spotting a client, they would do the work for me but they guided me and gave me a little push when needed which allowed me to do the work and decipher the answers myself. The practical component was invaluable, as I teamed up with a friend who is an Exercise Physiologist and I am a hands-on learner. I find it hard to absorb information from a computer screen, I just need to get in and do it. I graduated around December 2016 and since then I have created (but not launched) my online coaching platform targeting a specific audience internationally, this includes my own app in the apple and android stores. I have not launched as yet because the build has been quite extensive and to be honest my face-to-face personal training business is demanding so much of my time. I do plan to launch in the coming months nonetheless. I am also operating my face-to-face business as mentioned above, in which I am currently running around 50 sessions per week with around 45 of those being 1-hour sessions so business is good right now. I operate out of Anytime Fitness, however, I pay rent and work for myself rather than work for a gym, as that’s where the money is at! I also was lucky enough to land a casual job working with the UFC (not the gym) on the athletic commission where once or twice a year I am sent to work at events across the Asia Pacific. Last year I worked the Tokyo, Sydney and China shows and I am about to leave for Beijing in a couple days for a fight night event. What’s even better is my kids get to watch Daddy on TV and I take a lot of what I see the fighters do before the fight and I apply methods to my own MMA infused boxing/kickboxing sessions. Many bright things I hope, the launch of the online business is coming very soon, I am also an affiliate for a few different companies ranging from supplements to fitness equipment, so I can sell products through my only coaching platform as well and still make commissions off the sales which is passive income (making money whilst I sleep). My ultimate goal is to make enough of a living that I can travel and work from my laptop anywhere in the world at any time creating the financial freedom I have always dreamed of. Do you have any advice for someone who’s considering studying the Certificate III & IV in Fitness? Think bigger than just face-to-face personal training. Fitness is such a broad industry and your brand will not build itself, you have to build it and the only way to do that is to pick and target a specific niche and let the world know that you are the professional in that area i.e. strength and conditioning, bodybuilding, fat loss etc. but don’t limit yourself to these, expand and explore all types of training including things like injury rehabilitation, post-pregnancy training and more specific, training the female client as there are many different factors in training women such as periodic training in accordance with menstrual cycle etc. If you think you know everything, trust me, you don’t, so don’t stop watching, listening and learning from others and seek out other professionals such as Exercise Physiologists, Physiotherapists etc.and ask to spend some time with them. Invest time and money in yourself to keep growing, as if you won’t invest in yourself, how can you expect others to invest in you? Market yourself through social media, youtube etc., do videos, post facebook ads and build a following of both clients and fitness professionals alike. Last but not least, understand that personal training is made up of 70% personality, 25% knowledge and communicating that knowledge and 5% actual training. You will need to adapt to all types of personalities and moods, you need to know how to talk, laugh, cry and show empathy with your clients. Some come to train hard all the time and don’t want chit-chat and others want to chat and vent. Your role is a PT, Psychologist, Psychiatrist, brother, sister, mother, father etc. etc. so get your confidence and communication game strong. Your clients don’t come to you with the intention of staying with you forever, they come with a goal, whether that’s to gain knowledge, experience, confidence, refine and exercise, repair an injury or all of the above so it is your job to make sure you behave like the professional. Make it clear you can help them but explain every exercise to the detail. Your clients want to know what they are doing, why they are doing it, where they should be feeling it and what benefits they will receive, so read, learn, know your stuff, practice different methods on yourself and teach from personal experience, you will gain a lot more trust and respect that way. Most of all, enjoy it, smile, laugh and love the fact that you are in a privileged position to help change peoples lives which is an extraordinary feeling and can be a very rewarding career if you are willing to put in the work. P.S. to be successful, be prepared for some long crazy hours, 60-70 hours per week is the norm for a busy PT but its okay when you are doing a job you love!